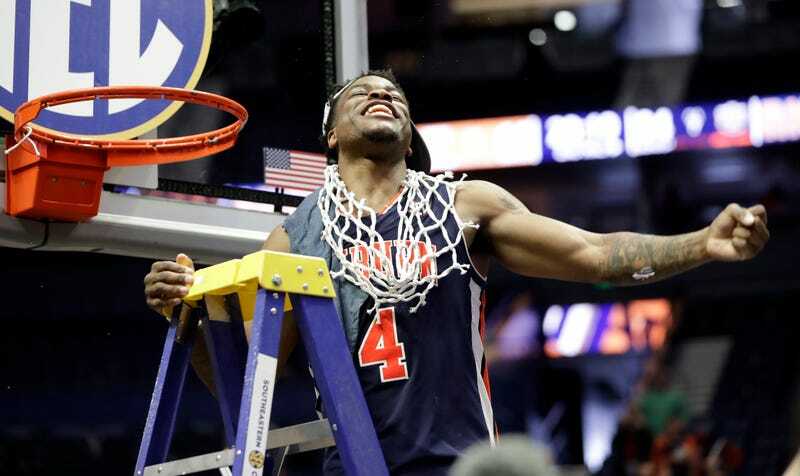 The Auburn Tigers beat the Tennessee Volunteers 84-64 to win the SEC Tournament for the first time since 1985. Simply put, the Volunteers got whomped. Right from the start of the game it was clear that each team came in with a different level of intensity. Tennessee sauntered in fresh off of beating a wildly talented Kentucky squad while Auburn, having barely escaped Florida’s clutches thanks to some swallowed whistles, came in with the purpose you’d expect from a team that actually wanted to win their conference tournament. It showed on defense as everyone in a Tigers jersey just looked quicker to the ball than anyone in white and orange. By time the final buzzer went off, they had forced 17 turnovers from the Volunteers and gotten 14 steals. Tennessee’s two top scorers also ended up leading their team in coughing the ball up, and SEC Player of the Year Grant Williams was held to just 13 points. Best of all, was the fact that the Tigers didn’t cause many stupid fouls as the Volunteers only went to the line 13 times that game. Of course, a team has to be successful on both sides of the ball in order to win a game. Following the logic that three points are greater than two points, Auburn chucked up 40 three-pointers and made 15 of them to set a SEC Tournament single-game record. While tournament MVP Bryce Brown made his fair share to break the tournament record for made three’s, the breakout player was sophomore Chuma Okeke, who started the second half with a barrage of his own that pushed Auburn’s lead well into double-digits. 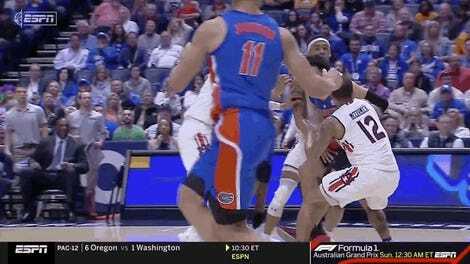 In fact, the Tigers got so comfortable from behind the arc that they started passing on open layups to score demoralizing three’s in transition. Even the players that couldn’t find their rhythm all game were able to shine. Jared Harper, for example, dropped 20 against Florida on Saturday, but didn’t make a field goal until about 55 seconds left in regulation. He made up for his scoring drought through tenacious defense that resulted in him diving for loose balls despite the fact that his team had a pretty comfortable lead. Auburn’s definitive win against a team that before today was believed to be worthy of a No. 1-seed does raise some questions about how far they can go through the NCAA Tournament. They have the athleticism to turn into ball hawks against teams that thrive with sharing the ball, and they have the talent to score from three even in hostile environments—it’s worth noting the arena where today’s game was played was mostly made up of Tennessee fans. It’s not too far from what Villanova did last year. Obviously, the talent level isn’t quite at the level of the 2018 champions, but a barrage of three’s is enough to make any team flustered on a national stage. The only potential liability is their size. The tallest player on Auburn’s starting lineup today was 6-feet-8-inches, that’s only going to do so much against some of the nation’s best big men, or even some well-built forwards. But not many teams can boast having that type of player on their roster so expect the Tigers to spend a couple of rounds in the tournament, at least.